Keynote speakers Drs. Stephen Sterling, Lucie Sauvé, Aaron Benavot, and Nicole Ardoin presented on trajectories and priorities for environmental education, alongside participatory dialogues probing why the field of environmental education has become what it is, and where might it be heading. Dr. Alex Wilson and Ms. Judy Braus, the session’s keynote discussants, inspired attendees with their visions for future possibilities and opportunities for the environmental education and environmental education research fields. SEPN Director Marcia McKenzie; Co-Investigator Alan Reid; Project Manager Nicola Chopin; as well as graduate students Kristen Hargis, Jaylene Murray, and Rachel Regier were all in attendance at WEEC. In addition to an exhibit booth distributing SEPN materials, a total of 3 roundtables and 2 paper sessions featured SEPN research. In addition to the Research Symposium, conference highlights included SEPN chairing a research symposium panel on “Measurement, Evaluation, and Research of Education and the Sustainable Development Goals” with panelists Ms. Julia Heiss (UNESCO Education Focal Point), Dr. Aaron Benavot (University at Albany-SUNY & formerly UNESCO GEM Report), Ms. Carolee Buckler (Manitoba Education), and Dr. Stefan Bengtsson (Uppsala University). The conference also marked the first time SEPN’s national survey and site analyses results were presented. 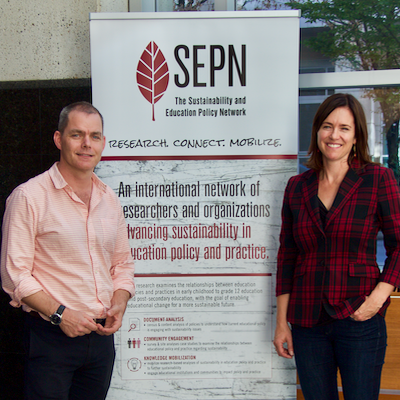 We were also pleased to host a well-attended SEPN evening reception on September 10. Thank you to all who attended SEPN presentations, visited our exhibit booth, and joined us for the reception. Thank you to everyone who attended! 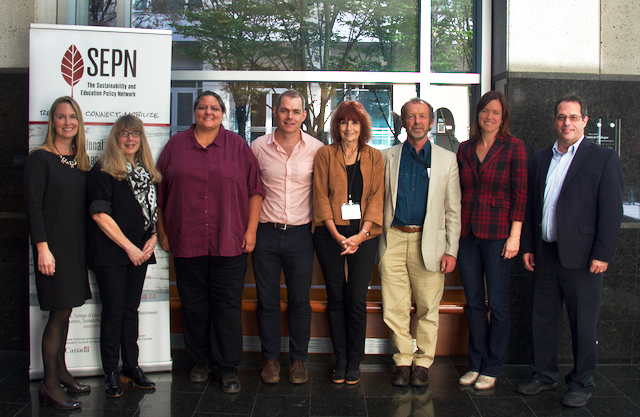 We look forward to future collaborations as we advance environmental and sustainability education and research.